One of Britain's most stunning little birds, this chap was fun to paint. This one of the Kingfishers that live at our local wildlife centre here in North Pembrokeshire, and which you can see regularly from the Kingfisher hide there. 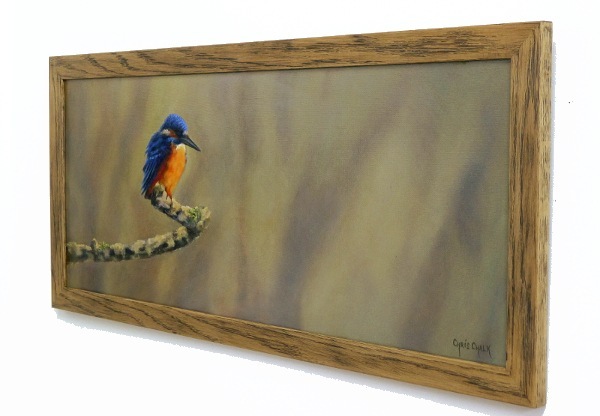 Painted on Loxley Gold stretched canvas, 30 inch x 12 inch x 1/3 inch - This painting can be framed or hung un-framed ( frame shown waxed solid oak - optional extra ).